JACKSON, Tenn. — Tuesday kicked off the 163rd West Tennessee State Fair. “Well right now, when it’s not a big crowd its joyous, fun easy to get through and just do whatever I want to do,” said fair visitor Yolonda Dodd. “I love it, everybody’s friendly, I mean it’s not overly crowded and I mean all the rides, I mean even the people that are doing the rides are friendly,” said fair visitor Kimberly Newsom. It’s a event where everyone can be friendly and make memories. “A tradition that we have been doing for 163 years. We are the longest running fair in Tennessee, and we just want everybody to come out and spend time with their family and have a good time and make memories,” said Fair Manager Kelly Broadway. Memories that can be made with all kinds of food, games, and rides. With more than one opportunity to make it happen at some affordable prices. “Wednesday through Saturday it $5, arm bands will be $15, on Sunday its $5 general admission and $10 arm bands,” said Broadway. “I love all the people and seeing all the kids having fun and my daughters having fun. She’s at that age now where she can enjoy the bigger rides,” said Newsom. It’s a fair for all, no matter what age you are. Fair Manager Kelly Broadway encourages everyone to come out and have a good time. “We’re really excited. We really enjoy seeing everyone come through and have a good time with their family,” said Broadway. 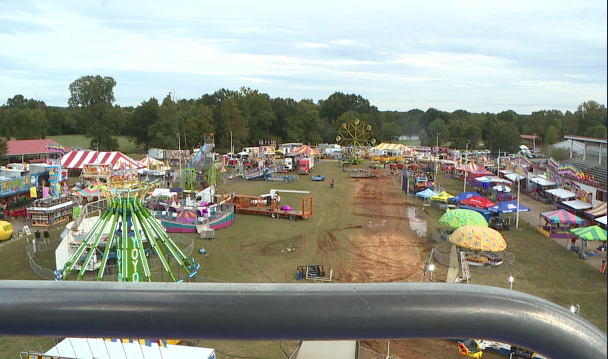 The West Tennessee State Fair will still be going on until this Sunday with different kinds of events in store, for more information click here.